Before we get started, I want to say that I have no official relationship with Kunversion. I’ve worked with agents and teams who use the Kunversion platform, so I have some knowledge of how their system works. At the end of the day, I’m a Search Engine Optimization (SEO) person and, upon looking at what was built, I can quickly figure out how to utilize what the Kunversion team provides to rank for certain keywords. We’ll be discussing how to use the SEO pages on the Kunversion Website Platform. But first, let’s clarify some of the initial challenges for SEO in the real-estate industry. SEO for real estate has some specific challenges that other business verticals or industries don’t have. One of the most obvious challenges is the sheer number of real-estate websites in any geographic area. The competition dictates that every real-estate agent should have a website, even if it’s only to show that they are legitimate. Personally, I would never turn my house keys over to a real-estate agent who has no web presence. It’s like not having a business card. By today’s standards, not having a website in the real-estate world shows you’re not really in the game. That statement leads us to the fact that every city has hundreds, maybe even thousands, of real-estate agents, all with websites—and all of them want to be found with the same exact keyword terms. Since everyone can’t rank #1 on Google, something has to give. The next issue is also in the neighborhood of competition. Ranking on page 1 of Google for the main real-estate keywords in your area takes a good bit of SEO knowledge. That means multiple, publicly traded companies spend millions of dollars every year to rank for YOUR city. It is definitely a challenge to outrank Zillow, Trulia, Homes.com, REALTOR.com, and Movoto. In addition, some areas have large real-estate brokers that have put tons of money into their websites, so you also have them to contend with. The last challenge we’ll discuss is ORIGINAL COPY for your website. Most real-estate agents don’t do a good job of posting original copy on their websites. In many instances, they still have the “stock” copy that came with their “subscription website.” You’ll NEVER rank by using the same copy that another website has already used. Google looks very closely to see who is adding new stuff to the Internet: if your website is only a bunch of regurgitated content, you’ll be a ghost, and Google won’t even index your site. Read our article on the difference between Indexing and Crawling for more information. In addition, most real-estate websites already have a duplicate content challenge; it’s called IDX. IDX is the real-estate search that displays your and other brokers’ listings. When all sites in your area display the same IDX data, everybody already has tons of “duplicate content.” You CANNOT rely on IDX data to be the heart and soul of your website. If you click through your site and don’t see much more than listing information, then there’s a problem. Original copy is not only one of the challenges, it’s also part of the solution. That’s right—if you have tons of original copy and useful information on your website and that copy has tons of keywords (no more than 3.5% per keyword) with which you want to be found, then you have a shot. In addition to what’s covered below, blog posts of original content are another awesome way to rank your website. The Kunversion Website Platform is a full-featured system for digital marketing. At the center of that system is their website. The website put forth by Kunversion not only deals with the same issues as mentioned above but also provides some solutions. The solution we’ll discuss is their SEO pages. What Do the SEO Pages Do? The SEO pages on the Kunversion platform let you build city/area-specific pages so you can capitalize on searches performed for that area. To fully understand what you’re doing, it’s beneficial to read our article, Top 5 SEO Techniques to Drive Traffic, to understand WHY we do what we do. First, you must create an SEO Page on your Kunversion website is to log into your Kunversion Desktop and choose Settings, then SEO Landing Pages. You must log in as the Broker for the site. Once you’re on the Custom Landing Page, choose either Subareas or Neighborhoods to get set up. Subareas are multiple listing service (MLS) areas and Neighborhoods are the neighborhoods as listed with your MLS. If your goal is to attempt to be found for a particular neighborhood, then choose accordingly. Make sure that the neighborhood you choose has enough searches on Google and other search engines to make it worthwhile. Although the SEO gurus use many tools to do extensive keyword research, most people will use the Google Keyword Planner, since it is a free SEO tool that comes with a Google AdWords account, which is also free. 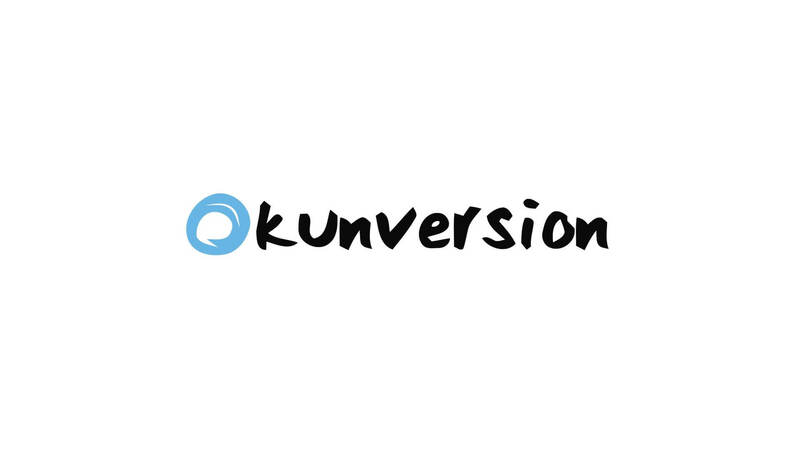 Kunversion supports Google Analytics, which is part of the FREE Google toolset. If you don’t already have Google Analytics on your site, e-Mail Kunversion support and request that your e-Mail be added to access your account. Click the link If you want to learn more about keyword research and how it affects your SEO plan. But I digress . . .
Once you decide which city or subdivision you want to target, simply click anywhere in the Custom Page Text box to expand it. The custom copy that you put in here is a very important ranking factor. Put simply, this custom copy is what will make your page either rank or not rank. Everything else is simply following a procedure for what button to click next, but SEO doesn’t work that way. This point is where 99% of you will keep reading and may even attempt, but will not follow, ALL of the steps we are about to discuss. The 1% that does EXACTLY what I say will see results. You should write a minimum of 750 words of absolutely new and unique content on the city or neighborhood. The bare minimum is 750 words, but more is better. The first page of most Google pages have over 2000 words. copy these words from another website. copy these words from a book. copy a blog or webpage and rewrite the copy. Note that 100% of what gets written here must be Original Content that uses keywords associated with that city or subdivision. Hey . . . did I mention this content must be Original? Don’t repeat keywords over and over. As a matter of fact, you should keep each keyword or combination of keywords to about 3.5%. You can have a variety of keywords, just keep that ratio. Many tools are available that will give your keyword percentage. A easy (and free) one is SEO Quake. If you have a basic understanding of HTML, you can code HTML directly INTO the Plain Text Box. Although there is no HTML Editor, this lets you still embed video and other coding options. Once all your copy in place, hit Update. *NOTE* It can take up to 2 hours before some updates are shown on the front end. The next thing is to see your new page. Go to your website and scroll all the way to the bottom of the page. You’ll see “Areas We Cover.” From there, click on the link to display and share your page to start the ranking process. You aren’t done! Now, click “Update” to link to it. In this section, we won’t cover writing blogs other than to say that you should write MORE ORIGINAL COPY on that city or neighborhood. With the new copy, create a new blog post. In many of the places where you mention your keywords, make a link that goes to your Kunversion SEO Page. It’s very similar to how this page is written (are you paying attention)? Once you’ve written your new post, share it on all of your personal and business Social Media platforms. You can distribute your blog posts in many ways, but that’s for another day. A critical thing for ranking any page is backlinks. It’s crucial to a successful SEO page to get other websites to link to your SEO page or to your blog post (which links to your SEO page). The quality of the website that links to your page dictates if it will HURT or HELP your SEO rankings for that page and the entire website. That’s right, many backlinks from websites can HURT you more than they can help you. Read more about Link Building for SEO, since it’s super-important. The combination of on page SEO and Link Building is critical for moving that page up through the rankings. All we’ve covered is how to drive traffic to a particular webpage. The Kunversion platform gives the options you require to have an informative hyper-local page and the calls to action to acquire leads. The basic SEO principles discussed are only scratching the surface for how to rank a page or site. For more specific posts on SEO, click HERE. I believe that SEO is only one part of Digital Marketing, so if you’d like to see all the parts that create synergy, click HERE.